What is the principle behind paint strippers? Paint stripping has very simple principle that molecules of the paint strippers active ingredients penetrate In to the paint film and causes swelling of the paint film. This increases the volume and therefore increases internal strains, which together with the weakening of the layer’s adhesion to the underlying surface, leads to separation of the layer of the paint from substrate. An effective paint remover should not damage the substrate. It should enable the paint to be completely removed from the surface. It should be able to dissolve the paint to a residue, which can be washed off later. No scrapping, sanding, sand blasting, wire brush or abrasive should be needed. Bash is high power industrial paint stripper which is based on alkaline solvents and it suitable for any substrate including high strength steel and magnesium. Bash paint stripper does not contain dimethyl chloride which is air pollutant and suspected carcinogenic and has very high vapour pressure. Also does not contain any acids which may brittle high strength steel and magnesium. Bash paint stripper is based on alkaline formulation with water removes multiple layers paint from any substrate. One application of heavy duty bash paint stripper dissolves accumulations of most spray paints, lacquers, graffiti, epoxy paints; Pu coatings including water based coating systems and hard to strip coatings. Gel consistency adheres to vertical surface. Apply Bash paint stripper by brush or spray to the surface to be treated. It will start working within 60 minutes depending on the type of the coat, type of the substrate, thickness of the paint film. 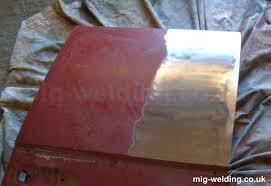 Once the paint film is swelled and removed then remove the residue by brush and wash the surface by water. If any part is of the film is not removed apply the stripper once again. Let it work and wash with water. Most important thing is that one has to test the sample first. It will be clear that weather Bash stripper is ideal for your purpose or not. Always do a test on a sample area first. For larger jobs it can the worthwhile ordering a 5 litre pack for testing. With a large job, do ensure that the area(s) where you do the test(s) is/are representative of the area as a whole. When doing tests, do ensure that the product is applied sufficiently thickly. When doing tests, do experiment with different dwell times of application to ensure that what is the time required for the job. When doing tests, do always wash off the residues, even though the paint-remover may appear not to have worked. This often unexpectedly produces the hoped-for results.